Kaylee had a litter last Thursday, September 21. The sire is Hunter of KB Kennels Pointing Labs. Six males, two females, all healthy! These pups have now had their dew claws removed and the vet says they all seem vibrant and healthy. They are available to go to new homes on 15 November, just in time for Thanksgiving! 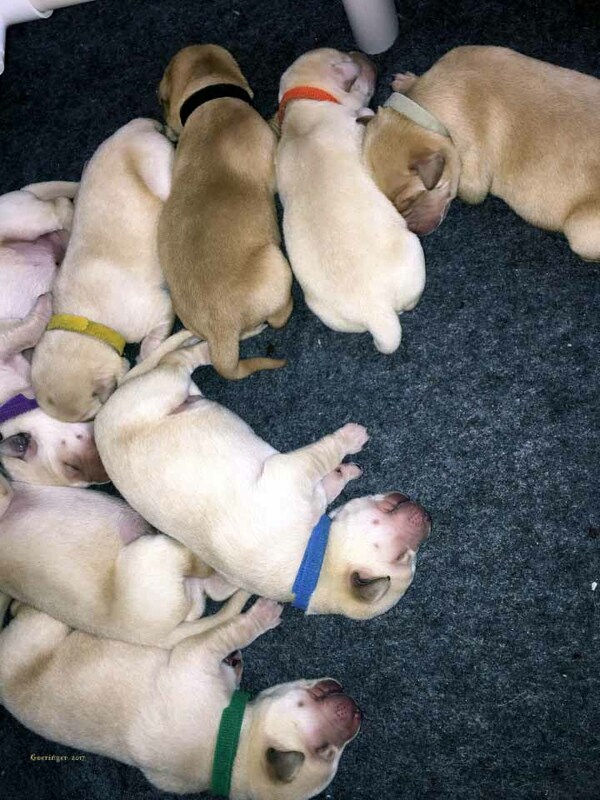 A pile of four day old Yellow Labrador puppies! « Tails up! Fast growing yellow lab puppies!